Please visit our site at www.blupac.com to learn all about the "Banana Belt" of the Oregon Coast. 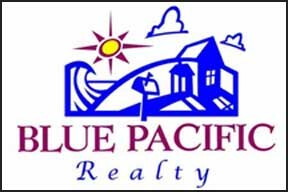 Blue Pacific Realty, located on the southern Oregon Coast, has built its reputation on a positive, "can do" approach to marketing and sales, along with the highest level of professional service. We are dedicated experts working as a team to make your real estate business experience as easy and pleasant as possible. We listen to your needs and desires, then use our knowledge of the market to help you accomplish your objectives. Our multi-million dollar producing Brokers have an average of 14 years experience selling real estate in Brookings Harbor, Oregon. Let us show you the area we love, Brookings/Harbor, Oregon.